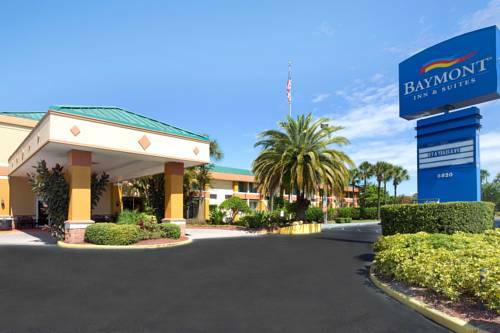 Enjoy the hospitality at this Baymont Inn and Suites Florida Mall, minutes from the Orlando International Airport, walking distance to the Florida Mall, within 10 miles of Disney World, SeaWorld, Universal Studios, Wet N Wild, and Holy Land Experience and close to the Orange County Convention Center. Lodging offers complimentary wireless Internet and complimentary breakfast, as well as complimentary daily paper, fitness center, outdoor pool, laundry facilities and convenience store. The business center offers meeting rooms and computer access, and there is parking for all kinds of vehicles. There is no charge for kids 17 and under when accompanied by an adult.